Seaford Christmas Magic- Coming Soon!! 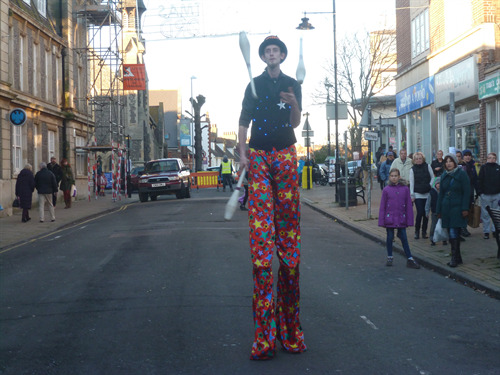 Seaford Christmas Magic will be back to fill Seaford town centre with Christmas sparkle on Saturday 5th December 2015 from 10 am to 7pm! Organised by Seaford Town Council and the Seaford Chamber of Commerce, the event will be lighting the streets of Seaford with exciting activities, characters and including the all-day market. There will be performances all day on the main stage on the hour, there as well as wonderfully unique smaller acts to wow the crowds. There will also be many areas around the town centre where you can watch various acts on busker’s corners; these can be found at Tansleys Yard, Church Street, Church Lane, and around High Street, so be sure not miss them! 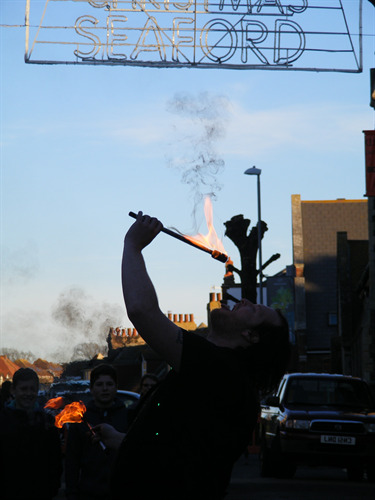 Performers include circus workshops on High Street around the middle of the day, with Fire Breathing demos, and then the children can join in with some Juggling and other circus tricks. 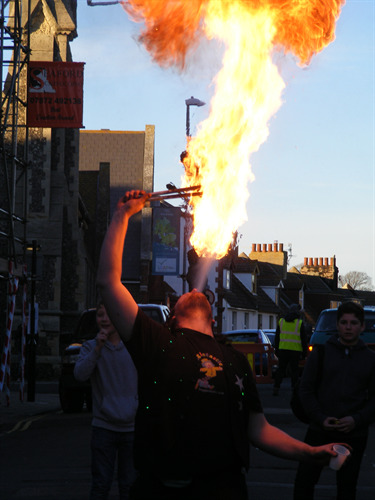 Watch out for the fire breathers and stilt walkers who will be around to entertain during the whole day! The switch-on of Seaford’s glittering Christmas lights will be at about 5.30pm; why not come along and join Seaford’s Mayor and Young Mayor marking this Christmassy time and to enjoy the festivities the event has to offer. Don’t forget the Funfair this year runs into the evening on Church Street to provide a little more for the young people to do. Why not make a night of it by catching a bite in town after the main event, visit one of the pubs or restaurants or pick up a take away; while keeping a watchful eye on the enthusiastic young ones? To avoid the need to find a car parking space there will be a round the town bus service from CTLA, running from 10am – 7pm. This will follow a route along Beacon Road, Belgrave Road, Vale Road on to Alfriston Road; Hillside Avenue and Walmer Road and heading back into town along Sutton Avenue, Steyne Road and onto the seafront to pick up at the Park and Ride stops; the town centre stops are at Saxon Lane and Dane Road; you can find the timetable on the CTLA website www.ctla.org.uk. The Seaford Christmas Magic Team gives their thanks to their Gold sponsors; Billy’s Beach Hut who produce gorgeous scented candles, look out for their Camper Van on the day with all of their products on offer, Toytown, the best independent Toy store in the region with a wonderful range for you to choose a gift from for your young ones and Brooklyn Hyundai, don’t miss their new showroom on Claremont if you are looking for a more extravagant Christmas Gift they have some cracking deals on this festive season. For more information about the main sponsors and their businesses visit the Seaford Christmas Magic website or pay them a visit! For full information on the acts and the event, grab yourself a copy of the official Seaford Christmas Magic programme at various locations around Seaford, including TIC, Morrisons and many of the shops and cafes in town also look out for copies at train stations and Tourist Information Centres across the district. Or you can visit the official Seaford Christmas Magic website www. seafordxmasmagic.uk or Facebook, facebook.com/seafordchristmasmagic and Twitter twitter.com/seafordmagic for full information and regular updates!